I’m very glad to introduce you to another Twitter buddy: @avpergakis. 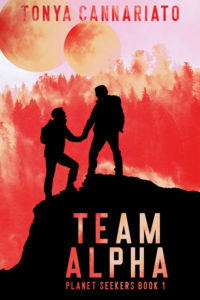 She was very supportive during my Nanowrimo quest this year, so I offered to help her with her first book release by hosting a stop on her book release blog tour. Hearty welcome, everyone, to new author Anastasia Pergakis. 1. You released your first self-pubbed book, Cleanse Fire just before Christmas. What made you decide to release it on your own finally, after trying first with the more traditional route? Honestly, it just didn’t feel right. It was harder than usual for me to send out those queries, to get the couple of rejections, and so on. I literally felt sick. During that time, I was doing some research on self publishing as I was interested in it but I wasn’t sure that I would actually take the plunge. I researched until I went cross-eyed! I talked to my husband about it and both of my crit partners. Finally, I just made the decision to do it. The second I made the decision, my headaches left and I instantly felt better. It just felt ‘right’. I know self publishing isn’t for everyone, but I think for me, it was the best decision I ever made. 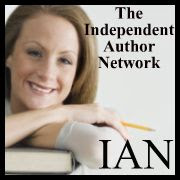 I wrote Cleanse Fire during NaNoWriMo in 2009. I hit the 50,000 word goal for NaNo but the story wasn’t finished. I skipped scenes that I was struggling with in order to reach the word count. I turned my attention to another project when NaNo ended and the story sat, unfinished for about two years. At the beginning of 2011, I dusted off the manuscript and set to work finishing and editing the story. 3. How did you know it was only the first in a series? Well, at first I didn’t! When I wrote the first draft, my intention was to have it be a stand-alone. 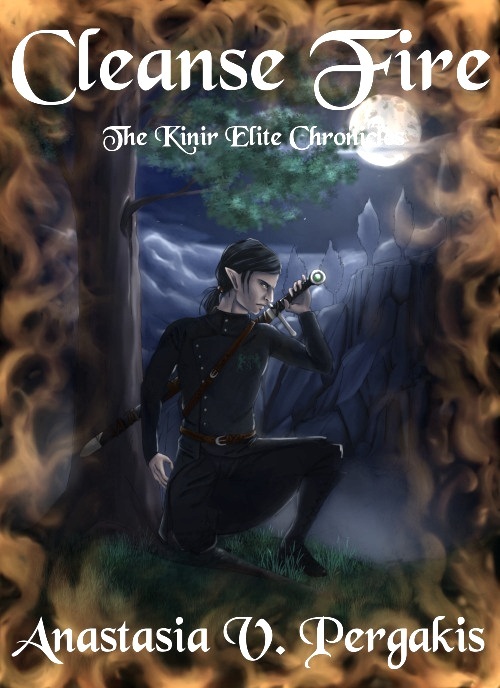 At the time the title was simply “The Kinir Elite Chronicles”. But, when I pulled it out again to begin editing it, ideas popped up faster than I could write them down for more books. So, the title became the series title and I began the process of turning it into a series. 4. What was your editorial/revision process, and how did you know it was ready for public consumption? I don’t think I ever really thought “This is ready.” I think it just got to a point where if I didn’t begin submitting, I never would. I joined an “editing boot camp” sort of workshop in January of 2011. It was an intense workshop helping the participants to self-edit their novel in one month – sort of a NaNo type of environment for editing. It was a great experience as I was able to work with a professional editor and get advice from those with more knowledge than myself. Since the story wasn’t even finished yet, with chapters missing in the middle, even when the workshop ended the book still wasn’t ready. It took another two months of applying what I had learned in the workshop and working closely with my crit partners before I felt I could begin submitting. 5. Your writing goals include a list of 12 books. What kind of timeline do you expect to offer your readers to see those works in print (or eBook)? About six months between books. Many traditional authors release books in a series once a year, so I thought having mine 6 months apart would appeal to my fans. Also, since I have other books in the works unrelated to this series, I feel that 6 months would give me plenty of time to write and edit the next book, as well as work on other stories I have. 6. You maintain something like 4 blogs, are active on Twitter, and have a young son. How do you manage to deliver on your writing goals? Lack of sleep and lots of coffee! deadlines and my own goals, but instead of writing a few thousand each day, I do bulk writing. I also do the same with my blogs, as I tend to write multiple blog posts all in one day for the following week or two. Plus, with my blogs, I don’t post everyday and I don’t post on all my blogs at the same time either. I balanced the schedule so that I post at one place on Mondays, another on Tuesdays, etc. Of course, all of my “bulk” writing happens after my son is asleep or on my husband’s days off. So yes I do tend to stay up late at night – I’m a night owl anyway. And with my husband’s support, I’m able to keep up with everything. Honestly, without his support, I wouldn’t be able to do it at all. 7. You also mention you’re a recovering alcoholic. What was your wake-up call to pull yourself together again? Wow, tough question! Warning, this isn’t going to be pretty and will be a little longer than my other answers. In June 2006 I realized that I had pushed away every single person in my life – family and friends alike. I was alone. I couldn’t look at any area of life and say “Okay, that part is doing good, let’s focus on that.” I had nothing and no one. I don’t know how to describe the utter feeling of loneliness I felt at that time. It was more than just “feeling alone” like many feel sometimes when life gets tough. This was like being in a locked room where no one came to visit you, or check on you, or anything. I was ALONE. problems and simply existing for so many years, that I crushed people along my way. I took advantage of them, manipulated them to get what I wanted, used them and then threw them away. I know; I was not a very nice person at all. and asked if I could live with them (I was homeless at the time) and that I wanted to start going to meetings with them. I didn’t believe even then, that I was an alcoholic, but I was so desperate to be rid of the guilt and pain I felt, that I was willing to try anything. They gladly accepted me into their home and helped me get back on my feet. I’ll be grateful to them everyday for the rest of my life. I still struggle with feeling guilty over the things I did back them. But the more I help people, the more I try to make up for those mistakes, the less guilt I feel. I try to look at each day as a miracle – because it is. I have a wonderful husband, a beautiful son, and a great life. It’s hard, don’t get me wrong. So often the sins of my past sneak up to haunt me again. But today, I can face those problems head on, without drinking and without hurting other people or myself. I don’t want to die and I enjoy every minute of life – even the tough parts. By rights, I should have died many times over before I even reached my 22nd birthday. I’ll celebrate my 28th birthday in May. 7a. Do you think your writing helps keep you sober (i.e. by allowing you a “safe” escapism)? I don’t think I can answer this in a straight “yes” or “no”. Writing does allow me a safe escape for sure. And my other worlds do help me cope with certain things about my past – as often the characters are facing the same ordeals and I heal along with them. I am able to work through my emotions and figure out things about myself in a safe way. So yes, it is a safe escape for me. However, and this is the “no” side of my answer, I don’t think my writing actually keeps me sober. There are so many other things I do throughout the day, my life, that do. Most importantly, I help other people. That is a key factor in my sobriety. It takes me “out of myself” so that I no longer dwell on whatever it is that’s bothering me (and could potentially make me go get drunk) and I think of someone else. Instantly I feel better. So, while my writing gives me a safe escape that no doubt helps sometimes, the thing that really keeps me sober is helping other people. 8. You’ve written a high fantasy novel with this first offering, and I love all the dragons and other fantasy critters on your blogs. What drew you to this genre? I don’t think I can pinpoint just one thing about this genre that drew me to it. Some say I have a “God” complex, since I can control every aspect of the worlds I create. And that might partly be true. I love creating my worlds down to every detail – what the land looks like, how their culture works, everything. But I think really, it’s the escape it gives me. I do love my life, don’t get me wrong, but sometimes it’s nice to get away for a little while. I get to “travel” without ever leaving my house! Writing my books gives me a sort of vacation from the demands of school, being a mom and wife, and running three businesses. 9. You say you’re an Army brat. What’s the longest you’ve lived in one place, and where would you call home? The longest I lived in one place, during my Dad’s service, was five years. This was after my parents divorced however, and my Mom moved my sister and me to Nebraska, where our family lives. I call that “home” because both sides of my family live there. Even thought I’ve lived in Georgia now for about 12 years, most of that time was after my Dad retired and I moved on to create my own life. 10. Was your family’s experience in the Army the reason for supporting the Wounded Warriors project? Do you have a fundraising goal with your pledge? Yes although I don’t think it’s quite that simple. My Dad joined the Army before I was born, so my entire life, I knew nothing else but the Army. I never knew there were people out there that didn’t share my views on supporting our troops and military. It was quite a shock to learn about those that protest at soldier’s funerals and things like that. I took that a little personally I suppose, since my Dad served. I would probably end up in huge trouble if someone protested at his funeral! those days and only those days. So, I wanted to draw attention to the fact that we need to support the troops every single day. They sacrifice and dedicate their lives to protecting our way of life and they deserve to be honored every day. I don’t have a goal as I don’t intend to stop donating when I reach a certain point. As long as my books are for sale, I’ll keep donating. And even after I’m gone and things transfer to my son, there will be instructions that the donations keep up. Like I said, as long as my books are for sale, Wounded Warrior Project (or some other charity that supports the troops) will receive a part of my profits. 11. Author’s choice question: What question would you like to answer? Thank you so much for having me today Tonya. You had some great questions for me. I had a lot of fun answering them. Join the Kinir Brigade by signing up for our newsletter! Get exclusive deals, access to special giveaways, and inside information about the series! Join the Kinir Brigade now and receive the first five chapters in your email! And don’t forget to visit our Facebook Page and Website too! more comments you leave, the more chances you have to win! All commenters will also be added to the drawing for a chance to win a signed hardcover. Drawing for the hardcover will be on January 31, 2012, the end of my tour. Scott, like I said, it’s all about the caffeine and lack of sleep! LOL I mean, right now it’s going on 3:00 am for me. I’ll finish up this comment, head for bed, and wake up again at around 7:30 – and do it all over again! And like I said, it’s all about multitasking and finding short cuts! Wonderful interview. I can barely keep one blog going and maintain a very very minimal twitter presence with my job and my daughter so I can’t begin to understand how you do it! Thank you Peter! I do try my best to keep things high quality even with so much stuff on my plate. I don’t reach it all the time, of course, but I do give it my all, all the time. Thanks so much for commenting! Great interview, I really admire people who can balance so much and keep the quality so high. Kudos to both of you for a wonderful interview.